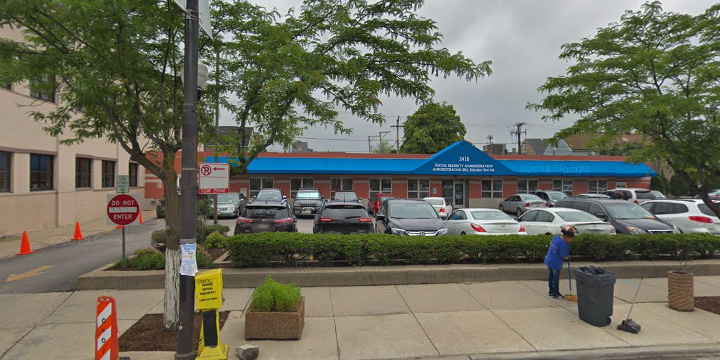 OFFICE (4000 W AND 2400 SOUTH) IS LOCATED BETWEEN CERMAK AND 26TH ST. ( LITTLE VILLAGE) OFFICE IS LOCATED ABOUT 8 MILES FROM DOWNTOWN IN THE SOUTHWEST COMMUNITY OF LAWNDALE. The Chicago Social Security office is located in Chicago 60623. The following page includes information for this location like the office phone number, hours of operation and driving directions. If you have any interests or comments about your retirement benefits or are interested in making an appointment, call the following Chicago Social Security office. The Chicago Social Security office is located at Chicago 60623. The Illinois SSA controls several federally run programs like retirement, SSI, Medicare and disability benefits. The following page contains useful contact information for this location such as the Social Security office phone number, hours of operation, and driving directions. 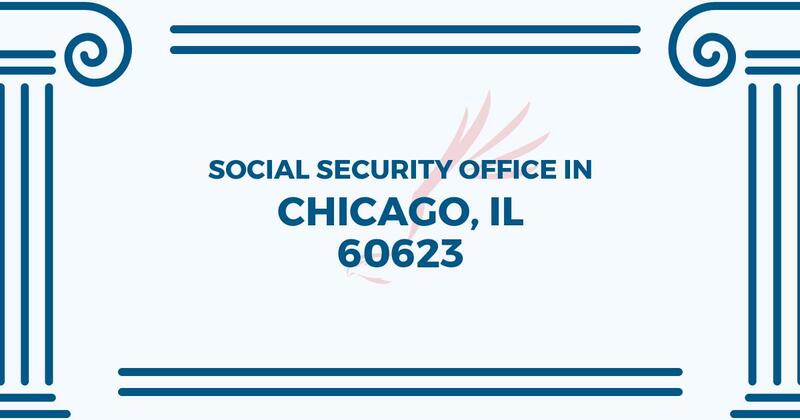 If you have any issues or questions concerning your retirement Social Security benefits or interested in scheduling an appointment, call the following Chicago Social Security office.